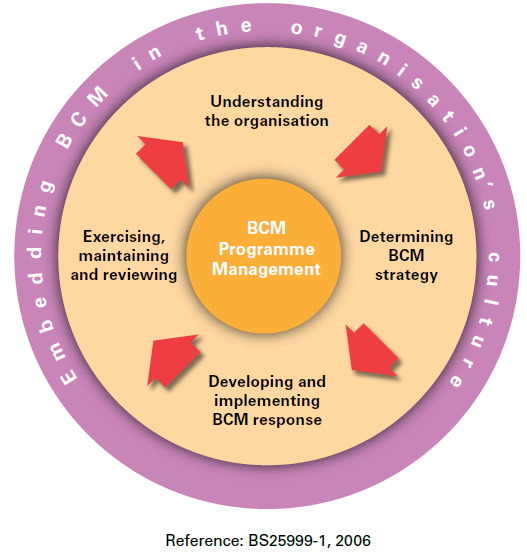 British Standard, BS65000 (2014) defines “organisational resilience” as “the ability of an organization to anticipate, prepare for, and respond and adapt to incremental change and sudden disruptions in order to survive and prosper, this definition is continually evolving. We believe that organizational resilience, properly understood, has great implications for its competitive advantage and profit. An organization that embraces the resilience will have a high likelihood of maintaining a successful and sustainable business. Traditional functions of Risk Management, Business Continuity, Crisis Management and Information Security are recognised as key contributors to operational resilience. Organizational resilience is a more holistic view of business and it’s success. Mastering Organizational Resilience requires the adoption of best practice to deliver business improvement by building competence and capability across all aspects of an organization. 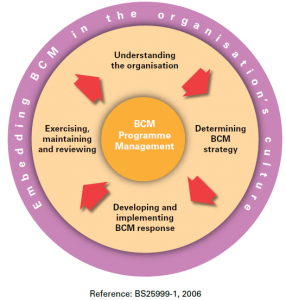 Business Continuity is an important process in achieving Organizational Resilience. ISO defines Business Continuity as the capability of the organization to continue the delivery of products or services at acceptable predefined levels following a disruptive incident.